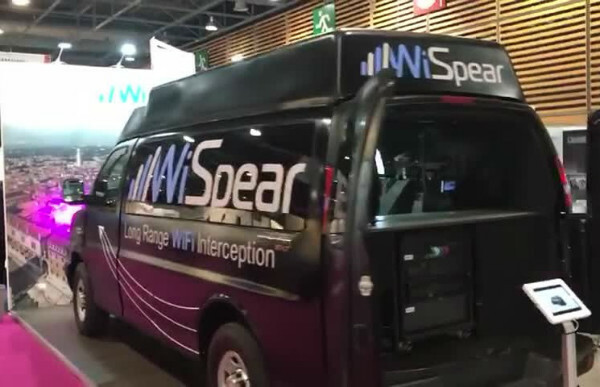 A Cyprus-based surveillance startup WiSpear, founded by Israel’s surveillance market players Tal Dilian, has built a spy car that is full of ‘next-generation snooping’ tools which can hack Apple and Android devices from 500 meters (547 yards) away. The new vehicle is named SpearHead 360, and was displayed for the first time at ISS World and Eurosatory trade show. The car is for sale between $3.5 million and $5 million. The SpearHead 360 vehicle has 24 antennas to help it reach out to nearby devices. Once a device has been chosen to be targeted, the automobile has four different kinds of methods to force a device to connect to its Wi-Fi-based interceptors to gather intel from the device. It also has four different kinds of malware for various operating systems, including Apple’s iOS or Google’s Android devices, that could be installed remotely. According to Dilian, the van is capable of hacking multiple devices running on the same or different OS, at the same location, all at the same time. The company claims that they have an access to a range of publicly-unknown Android and iOS vulnerabilities (known as zero-days) both in Google and Apple Operating systems, which can be easily used by hackers to target the devices simultaneously; imagine if you have three different devices (a Mac Laptop, an Android phone, and a Windows tablet) with you at a point in time, and it is in range of spy van, then all three could be infected at once.